More than any other question is one few would expect to top my readership and friend list of questions. So, with no further buildup, here it is. Will there be a civil war in the United States. The answer in a single word is more than likely not. Much of the violence which appears to have plagued the United States has been in the major metropolitan areas and a few smaller but still main cities. These are areas which, even those in the most conservative states, are largely blue regions, also known as largely liberal and leftist areas where the Democrats basically rule the roost. As far as anti-fa instigated violence, it is mostly committed within cities and often against easily recognized chain stores such as McDonalds, Starbucks, the Gap and other smaller unit stores. They usually do not target major chain stores such as Sears, IKEA, Nordstroms or other stores which have security as the anti-fa people are interested in causing unopposed damage and violence with the exception being their attacking conservatives at Second Amendment, Republican candidate or similar rallies where they expect to be opposed by largely unarmed people. When the main people behind the violence are carefully choosing their targets in order to minimize the chance of real pushback then there is little if any possibility for any confrontation to escalate into that vital flash-point from which general violence would result. But this diagnosis holds solely through the next elections which will be Presidential Elections. With the next Presidential elections, there will probably be additional violence above and beyond these elections. But that will still not escalate beyond the cities in which the problem will continue to exist. The real problem could come, if there is to be any problematic escalation, after the elections should President Trump win reelection carrying the Electoral College but losing the popular vote by a more than what people on the left believe reasonable margin. This has occurred before with Rutherford B. Hayes in 1876 losing the popular vote by about 4% but winning the Electoral College by 19 votes, Benjamin Harrison in 1888 winning the Electoral College by 65 votes while losing the popular vote by 90,596, and George W. Bush in 2000 where he won the Electoral College by a slim five votes after a contentious series of recounts and hanging chads in Florida and Al Gore won the popular vote by 543,895 votes. There are stories that President Trump also lost the popular vote but there are also stories which claim he won the popular vote once all votes had been tabulated so it is safe to say that it was very close. The thing is a President can win the Electoral College by winning a number of smaller states as well as Ohio, Pennsylvania, Virginia and Michigan or Wisconsin by narrow margins while the Democrat had a healthy showing while losing Texas and took over two thirds or three quarters of the popular vote in California, New York, Oregon, Washington and across most of New England thus having a very large popular vote victory. This is close to what happened in this past election except the margin in the Democrat victories in the high population states was closer to 55% to 60% and not too overwhelming. 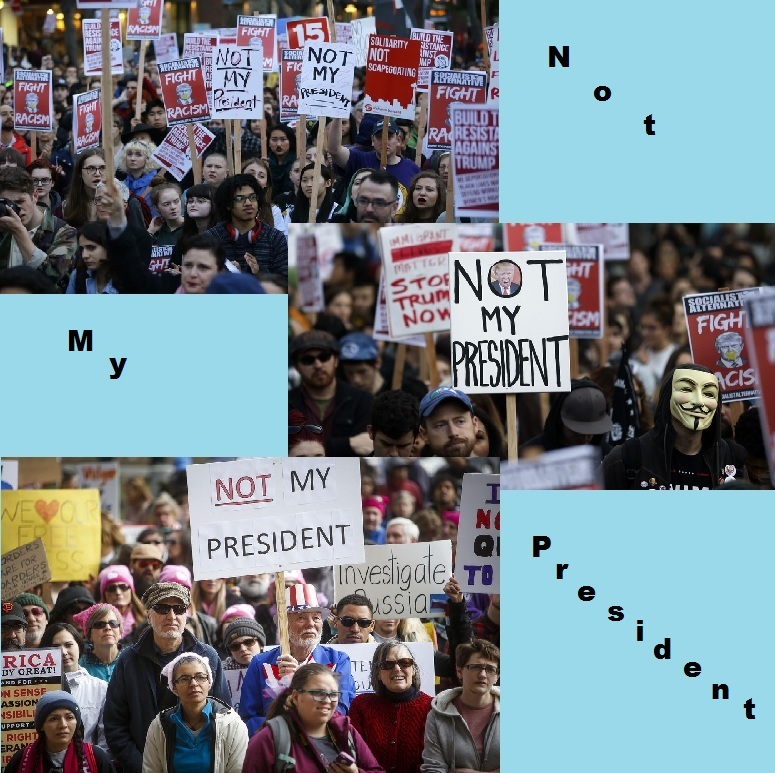 But if the above were to occur, it would be possible for the elected President under the Electoral College to lose the popular vote by tens of millions which would cause an uproar, especially in the high population states and in virtually every major city breaking out in rioting and worse. How serious such might become would depend heavily on the actions of the mayors as if they, as happened in the riots in Baltimore after the unfortunate death of a person in police custody, decided to order the police to simply attempt to contain the rioting while allowing the riots to play out, that could cause the President to use federal power to end the riots which would appear to be completely out of control. That might cause an even greater amount of disruption as it might be interpreted as being overt and being used to punish the people who did not support them in the election causing even greater violence. Where such might lead is anybody’s guess. We still doubt that a civil war is likely in the United States unless a President decided to impose martial law and suspend elections, then there would be people fearing an end to the democratic base of government and an end to the Republic. As long as government continues under normal operation, the majority of the American public would continue to have faith that the system was still functioning, and only if the electoral system appeared to be being ignored or completely suspended would there be sufficient cause for universal upheaval. The reason there would not be a civil war in the United States short of a President usurping power by such actions as suspending the Congress or dismissal of the Supreme Court replacing these Constitutionally established institution with the rule of the President, the one person, then the concept of a nation ruled by law and not man would be turned upside down replacing it with a nation ruled by a person and not the law. This is something most of the American people would not stand by and allow to happen. Also, should a President suspend the powers of the people provided by the Bill of Rights, this too would be going a step too far and likely to cause a general upheaval from the population. Were such to be done in a slower series of measures limiting freedoms through slow steps using laws and the legal system to end freedoms, then it might be possible to bring an end to elected governance and have a dictatorial takeover of the United States. Such an erosion of freedoms might begin with laws against ‘hate speech’ which could be utilized to shut down expressions which were against the sitting government and thus allow only those supporting the strict policies of those in power to be expressed. This could be followed by restricting assembly of groups where such speech and positions which opposed those in power from occurring. 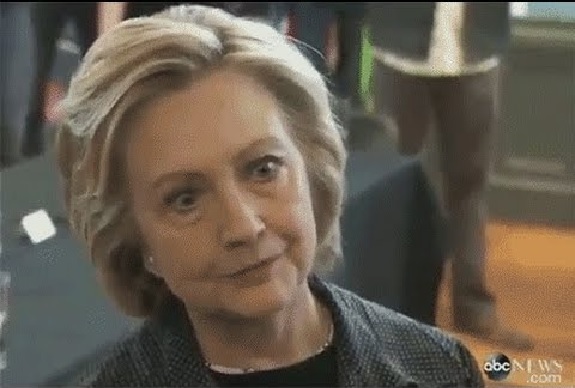 Then, should those in power have such a control over the powers of government on all levels including almost every state and large city, the people who hold opinions which might unseat those in power could be brought up on charges of holding hateful positions and even begin to have criminal charges brought against opponents for having hateful thoughts. Once it can be established that people can be arrested and charged with thought crimes, then nobody would be safe and those in power would have complete and total power. They could move against the opposing party starting with their representatives in the Congress and on the Supreme Court replacing them with only people having the approved opinions and now you have a hierarchy where a select group of people holding what is defined as correct thought are the sole holders of power. This is something which would have been inconceivable in the United States just ten to twenty years ago. The problem on the horizon is that an ever-growing number of youth coming from many of the major colleges when queried if hate speech should be illegal, agree and say that free speech should only come with limitations and restrictions. This is a frightening reality which if it should continue signals the end of the American Experiment. Such a series of events starting from this and spreading to all corners of political power would cause a civil war with uncertain results. Should sufficient officers be selected, as Generals need be approved by the Senate as they are selected presumably by the President or at least the executive branch, hold the same beliefs that free speech need not be a total right and that only certain approved speech should be free, then there has started a slippery slope to a dictatorial governance. This would not be the kind of dictatorship where one person was chosen and no further elections were held, this would be a form of dictatorship where all government positions, even elected positions, would be restricted to those who were the most correct in their ideas and thoughts. This is the opposite of what the Founding Fathers had envisioned but by simply adopting limitations of freedom of thought could come into existence. By restricting thoughts and expression through speech to a certain set of politically approved ideas and concepts, then one has also subjugated the media and limited even what religious leaders would be permitted to preach. From that point, it would be a short jump before people would be rounded up and sent for additional schooling, otherwise known as reeducation camps. Soon after such has taken place, we can predict what the next step would be, and that would be limitations on religious thought and then practice. The first ones to be selected for eradication would likely be the same as has always been the first religion for subjugation or attempted for eradication, the Jews. They may be selected along with other groups such as Evangelical Christians has been one such group which some claim would be included with the Jews should the United States turn to the dark side. The reasoning on these predictions are predicated on the belief that as the mainstay of Judeo-Christian ethos, these two groups could be considered the largest threat to be the mainstay against far leftist ideology and these theories all believe that such a thought based governance would be extreme leftist styled fascism. As such, those against abortions on demand, euthanasia, open borders, no corporate profits over half a percent, open work hours, fixed incomes, extending public lands, elimination of private vehicles, elimination of fossil fuels and whatever else one could conceive from the far-far-far-left on top of free speech as long as it agrees with the government and a similarly restricted media, after all, don’t we all love Big Brother, and doing away with privacy and full surveillance would also be implemented just to detect even the slightest indication that one was outside of group-think policies, this is where such would eventually lead. This could only be established slowly over about two decades, and that is about all that would be required as the job has been half way to accomplished with the ideas supported by far too many college graduates. The nerds would be tolerated as long as they simply quietly made everything work and minded their manners and were not too obviously nerdy. Many people think that such an end for the United States is so far from being the America of the past two and a half centuries that it would be impossible and might be surprised if they were to become aware of what is taught in the finest of higher education, and that is slipping ever so slowly but inevitable into high school and even further. Eventually, the concept which has already begun in some region where they are not teaching children to read independently but only of approved readings. How, you ask? They are not teaching phonics and sounding out words from their spelling but whole word recognition, which works fine for words such as enough, but for most words that would not be the preferred means of reading new words. But they do not desire your reading new words because words represent ideas and ideas are very dangerous. Thoughts lead to ideas and if a child can read anything, then they can have thoughts which are uncontrolled and then they might have uncontrolled ideas which lead to undesired conclusions which then may cause difficulties, especially if they are able to express them and spread these concepts. Thus, through this new age teaching methods using whole word recognition, children grow up with limited vocabularies and thus have free thought stolen from their lives. They have a new form of math that they teach. They teach children to solve equations the way a computer might be good at but which leaves the child with no ability to ever learn algebra, let alone calculus and higher mathematics. They are taught to guess and then make another guess and if that second guess comes closer to the desired answer, go further until they guess and are further from the answer and then reverse direction. I can think of numerous problems where this method might drive a child insane. 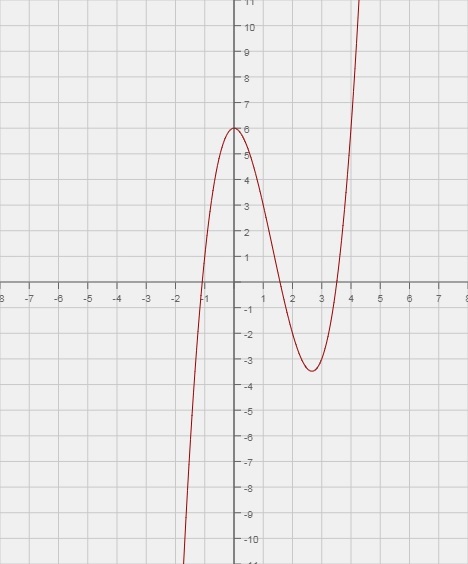 This also only works well for equations with one variable, as soon as you add a second variable the number of answers could easily become infinite as it is for the very difficult equation where y=x3-4×2+6 which has a strange graph and uncountable correct answers (see graph below). For any value of y from -3 to +6 there are multiple answers for x which makes guessing rather difficult. That was not even a difficult equation as there are trigonometric equations where there would be multiple solutions or no solution depending on the values for x and y such as circles and ovals. But this is not as earthshakingly important as what they do not require and in too many schools do not teach at all. That is our next stop on this tour de force. History is not required for a high school diploma. Not just world history, but they do not teach American history and even recent history such as the study of the two World Wars or the American Civil War. They no longer require a civics course or a course that includes and explains the make up of the American government. They do not study the Constitution, the Bill of Rights or the Declaration of Independence, so do not even bother to ask about the Magna Carta. When they did finally have a single six-week course in American history and government, these were all placed together, they never studied the Founding Fathers or any of the so-called old white men outside of the great emancipator who was included with Fredrick Douglass as they were mostly studying the Native Americans and Americans of color. In English, they read largely the writings of people of color and none of Shakespeare, Dumas, Dickens, Mark Twain, Nathaniel Hawthorne, Herman Melville, Louisa M. Alcott, Mary Shelly, Dostoevsky or any of the classics because those had been taught already and it was necessary that the youth be introduced to writers of color. Perhaps the school district where my kids were educated was more progressive than most, or maybe they were just fortunate to have enlightened teachers, all I know is the teachers would dismiss my questions as ignorant and lacking depth and I just did not understand their new methods. This was nowhere more true than the mathematics teachers who basically told me that the methods I had been taught were the reason mathematics was so difficult and children hated it so much because the old ways just were not fun and they were not going to turn children off from math. One even said that if they got the wrong answer but could explain their reasoning, then they would get full credit. That included the reason of I guessed and it seemed close enough, as I actually asked that I was so frustrated by the eighth grade with the mathematics teachers. They are no longer educating the children and because of their unions, a teacher is next to impossible to fire once they have taught and received tenure. I can only try to imagine how future education will be and can only hold out hope that there will be machines teaching which realize that educated humans are easier for them to deal with and as such, they will actually educate children. Perhaps this education or lack thereof has been designed such that when everything falls apart, nobody will know any better and it will all appear to be normal and orderly no matter how discombobulated governance becomes.